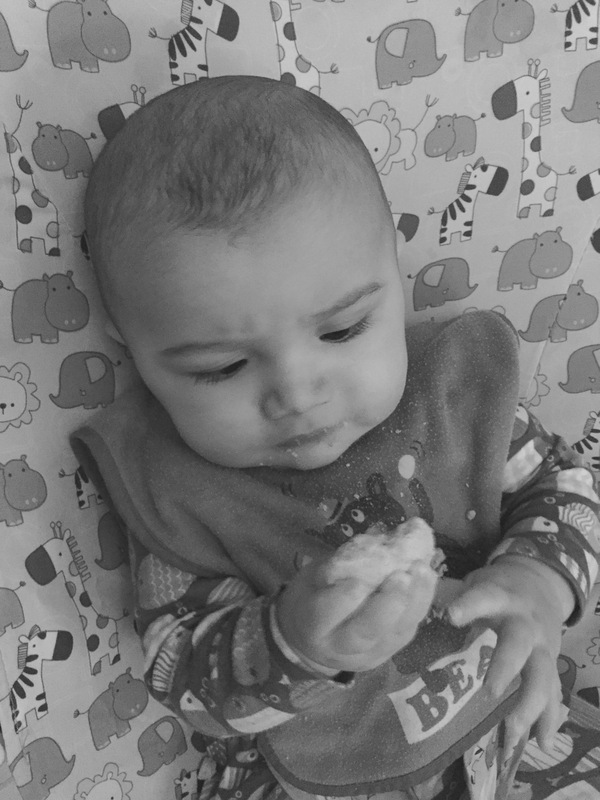 I know it’s not the done thing these days to give your baby a rusk but Zaki had one and he absolutely loved it! He was making all kinds of appreciative chomping noises and actually cried when he’d finished it, haha! Weaning has been more difficult with Zaki than it was with Omar. To start with he wasn’t keen on solids AT ALL. He would spit everything out and screw his face up. 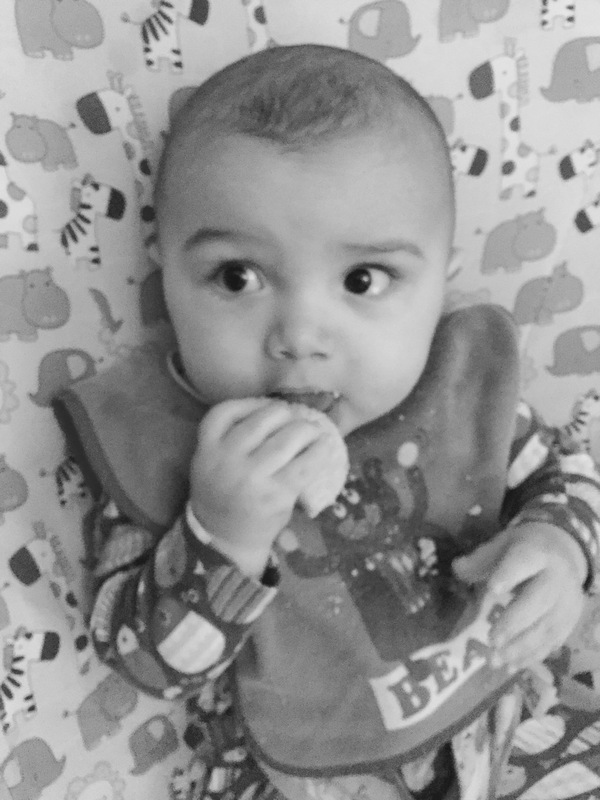 After about 3 weeks he got used to eating and would tolerate it but still wouldn’t put anything in his mouth of his own accord, so baby led weaning was out. 5 weeks on and the situation is much easier now. He will happily gnaw away on toast, banana, courgettes and of course rusks! He would love that but chocolate hurts his head! He’s a real pain. Chocolate hurts his head?! What about that white chocolate addiction he had not so long ago? Is white chocolate exempt? 😂 love love love that title! Nothing wrong with a rusk, they’re the best. Ah, no. Hope you get some rest at least. I’m no expert and I don’t know your little lad but from what you’ve said and his age, I’m sure it’ll be ok and he will catch up. You’ve already had such a tough time with your baby, it seems so unfair. I know it doesn’t work that way but I thought after everything with Zaki we deserved a bit of time off from being stressed!